Beware - This DIY Will Kit is a goldmine for lawyers! Why bother to have a will professionally prepared when it's so simple to fill in a DIY Will form with the name of someone to look after your affairs when you die (your 'executor') and to list all you have to give away (your 'gifts', 'bequests', 'legacies')? A simple DIY Will or no will at all works in cases where the circumstances are simple and there is nothing to give away, apart from small bank account balance, some household goods and superannuation. It also works with a jointly owned house where 'joint tenancy' means that the house passes automatically to the survivor. If a DIY Will is made and these reasons apply, then the legal fees will be in the tens of thousands of dollars to interpret the Will and to settle competing claims by persons entitled to a share. These days, the persons entitled to claim include not only spouses and partners (both current and former) and children, but anyone financially dependent or with a close personal relationship to the deceased. When Peter Reid died, his wife had predeceased him and he had no children of his own. What he did leave was a large fortune - $76 million to be exact, and a DIY Will. It was a lawyer's goldmine. Two court cases and a mediation later in which 40 step-children, nieces, nephews and others claimed a share, the division of the estate was settled. To read my case note click - A do-it-yourself will is a beacon to controversy. 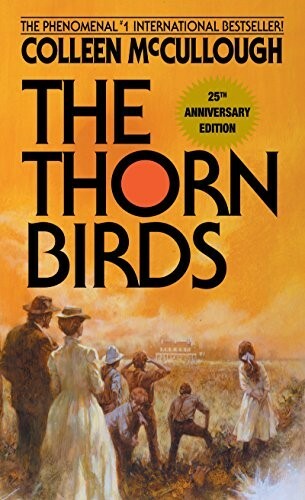 Colleen McCullough was a prolific author, most famously for her novel The Thorn Birds, which has sold 30 million copies since it was published in 1977. Colleen McCullough was so prolific that she left not one but two wills. In the first will, she left her entire estate to the Oklahoma University. In the second will, she left her entire estate to Ric Robinson, her husband of 30 years. As in many of these situations, the existence of two wills can be traced to a 'domestic'. In this case, Colleen accused Ric of overspending, and on 24 June 2014 asked him to move out (which he did). Two weeks later, she signed a new will leaving her entire estate to Oklahoma University. To add insult to injury, she added a bequest letter in which she explained that she had cut Ric out of the will because she had made adequate provision for him during their marriage. Shortly afterwards, Colleen and Ric reconciled, when Colleen asked him to return to look after her. He moved back into the house and cared for her until she died on 29 January 2015. Before she died, in October 2014, Colleen asked her solicitor to reinstate Ric in her will to inherit her entire estate. Instead of preparing a whole new will, her solicitor prepared a fresh page which named Ric as the beneficiary, instead of the Oklahoma University - which Colleen signed. The old page was removed and the fresh page inserted into the Oklahoma Will. After Colleen died, the Oklahoma University applied to the Probate Court to grant Probate of the will with the old page while Ric applied for probate of the will with the fresh page. After 8 hearing days in court, which were estimated to have cost each side $400,000 in legal fees, the Probate Court decided that Ric's will was her last will and testament because Colleen had not been coerced into signing it. That is why one will is more than enough! For more analysis, click - From The Thorn Birds to thorny will dispute: Estate of Colleen McCullough. It's often a difficult decision for your parents to move to an aged care home. The decision is made more difficult by the need to decide whether or not to sell the family home when they move out. Often these decisions are made for the parents by the child acting under an Enduring Power of Attorney. The family home will need to be sold if the move is to an aged care home where a bond is payable, to pay for the bond. Large bonds of $600,000 are common for aged care homes in Sydney. The family home can be transferred to a child, a nephew or niece. If so, stamp duty must be paid on the value (regardless of whether it is a gift or it is paid for). No stamp duty is payable if you wait and the transfer takes place on death (there is no death duty in Australia). The family home can be kept, and rented out, if the move is to an aged care home where no bond is payable. If so, the aged care costs must be funded. The Commonwealth Government will pay the aged care costs, subject to a means test. Even if you qualify for a full pension, you may not qualify for aged care costs payments. For instance, to satisfy the Centrelink rules for the aged care means test, the person cannot own, or cannot have owned a home within the previous 5 years (at least). Why is this an issue? Without government assistance, aged care cost can exceed a full pension and must be funded by the person out of their own assets.